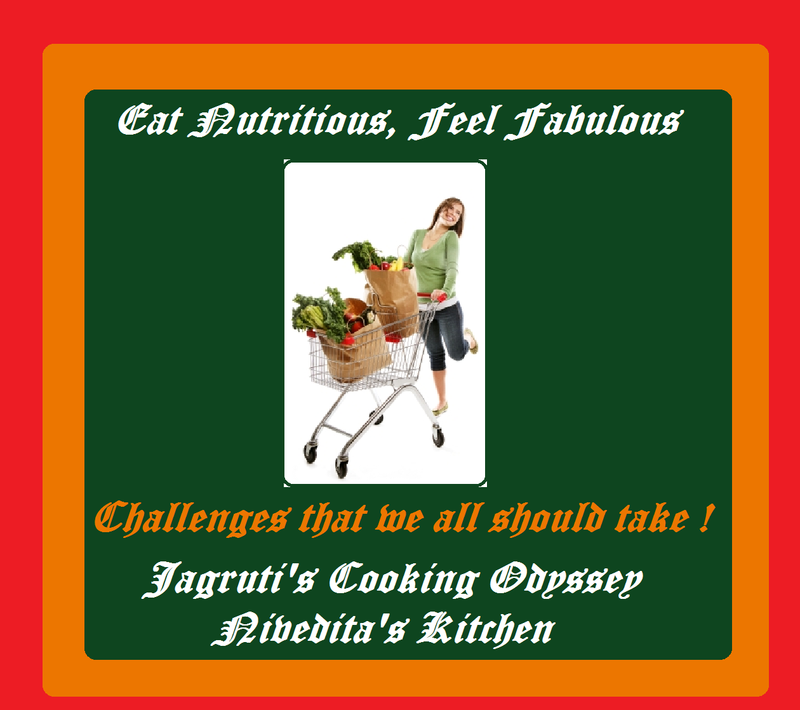 Jagruti's Cooking Odyssey: Mix seeds N Pear Ladoo / Truffles - Eat Nutritious, Feel Fabulous 20th March ! Mix seeds N Pear Ladoo / Truffles - Eat Nutritious, Feel Fabulous 20th March ! "Our house is like a library" often these words are spoken by my husband ! It's not that we keep huge stock of reading materials, ONLY because we are a bunch of bookworms :). We all do really enjoy reading, it could be anything, good books, newspapers or good magazines. As much as we visit our supermarket for food, we visit our local library too. Once we get hold of any reading material , it is very hard to leave it, we try to finish reading it up as soon as possible. Study shows that reading can actually improve your life, you're more likely to expose yourself to something new. Reading is not only to help you gain more knowledge or enhance your memories but improves your health too, reading can reduce your stress and puts you in a better mood even it prevents dieses like Alzheimer’s. A study has found that people who read regularly much more likely to be engaged civically and culturally. Which means reading actually makes you win in life. Through books we can enrich our minds; we can also relax and enjoy some precious leisure moments , So there is only one Mantra " Reading can be Therapeutic "
In my childhood, my parents couldn't afford daily newspaper or any kind of other reading materials apart from school books. We siblings and my mum were passionate about reading. We used to be such enthusiastic readers that when we used we buy anything, wrapped in newspapers, we used to read that piece of paper before disposing it or ask our neighbours if we can borrow from them. When we could afford it, mum started buying every Sunday newspaper, and even today I clearly remember how we used to get up early on every Sunday to read and argue that who will read it first :) I cannot describe my happiness when I won first prize in a competition and won a set of three books, I must have read them maybe million times in few years. We are so grateful to our parents, maybe they never gave me colourful and expensive gifts, but bestowed with such a gift which is priceless, that we can pass them to our coming generations, which never will or go rusty ,only it will multiply ! Knowledge is power, and books are full of it !!! While reading, we love to have snack. Often I've seen my kids come back downstairs and look for something to munch. Now that my daughter is in university I prepare and send some healthy snacks like toasted nuts and seeds or healthy homemade crackers, so she doesn't go on sinful scoffing :P.
Her exams are not far, she does lots of revision. She asked me if I can make something interesting then just plain toasted seeds or piece of fruit. So scratching my head, and after so much thinking came up with this recipe, still same ingredients but with new taste and texture. Also did I mention these are derived from nothing but only wholefood, nutritious !!!!! 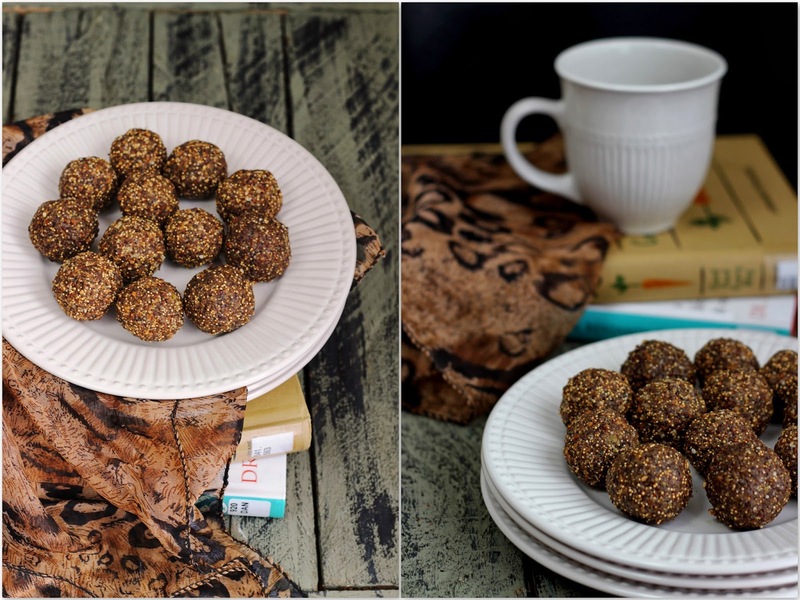 Mixed seeds and pear ladoo ( truffles ) packed with energy and deliciousness. So addictive - best way possible. Ladoo contains, delicate and plain sweetness from pear and dates, perfectly blends with seeds and makes a delightful and irresistible snack, definitely it's unmatched taste will add zest to your to your munch time, infact whenever, you feel like a pick me up thing, relish it, anywhere anytime !!!! Pre heat the gas oven to gas mark 4. Wash, peel and core pear and puree them with dates without any water. Add all the other remain ingredients except honey and combine everything. Spread thin and evenly on a line baking sheet with parchment paper and bake at least 20 minutes. After 20 minutes, remove from the oven and reshuffle using spatula and bake another 10-15 minutes, make sure mixture doesn't get burn. Remove tray from the oven, let it cool slightly. Take out and place toasted mixture in to food processor and grind till coarse mixture and when you pinch the mixture should get into shape. If not, add some honey and mix once again. Make ladoo and store in a air tight container. Linking it to Eat Nutritious, Feel Fabulous challenge started by ME and Nivedita.